On October 3, the Technik museum of Speyer opened a new building dedicated to the space: « Apollo & Beyond ». It’s the occasion for the museum to show the Buran test shuttle OK-GLI acquired five years before (from the Molniya company) but bloqued at Bahrein for juridical dispute. And other oustanding pieces like the european laboratory Columbus, many space suits and even space food in canned food. This exposition was inaugurated by Igor Volk (test pilot of OK-GLI), the German cosmonaut Thomas Reiter and Charles Duke (LEM pilot on Apollo 16). 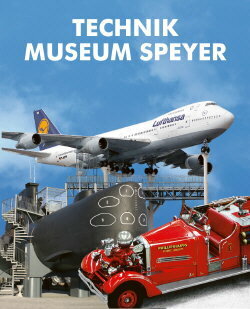 The next pages show other pieces of the museum such as Wolkswagen cars, or this Boeing 747 layed twenty meters high.